The WikiLeaks scandal has provided a rare glimpse into how your self-anointed betters view the world. They reveal how your rulers view you. It's how the political sausage is made in the world of the Democrat Party (and frankly, the Republicans are no better). The historical value of this peek through the keyhole is priceless. 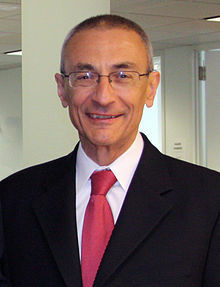 Podesta is one of those illuminated gnostics of the modern world who crafts policy and builds public opinion from the shadows. Shining a light on a cockroach makes it scuttle for the dark cracks and so it is with John Podesta. In much the same way as a remora follows a shark, Podesta has attached himself to the Clintons, to Barack and others who allow him to whisper in their ears (think of Rasputin and you're there) and feed from the table scraps that fall. 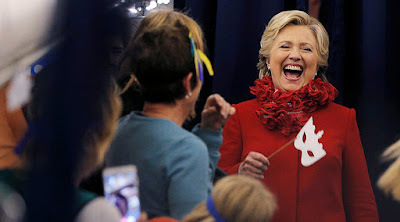 With Hillary Clinton shaking down every foreign government that she could while serving as Secretary of State, the table scraps were and are not inconsequential. Before you look down your nose at Venezuela or Cuba, it might be good to take a long and painful look in the mirror, because the view is not that flattering. (LINK) This twelve page e-mail attachment (go to the e-mail and then see the attached document) goes in detail over how Bill Clinton monetized the Clinton Foundation. The basic context is that, at some point in 2011 there was a civil war inside the foundation, with Teneo/Doug Band on one side, and Chelsea Clinton on the other. In this attachment, Band tries to justify himself by going over how much money he has made for the Clintons. It also dispels and puts to rest the notion that the Clintons don't make money from the Foundation. In fact, it demonstrates that the Clinton fortune and the Foundation are indistinguishable and essentially the same, and that donations to the Foundation come with kickbacks for all involved. Doug Band (who was to Bill what Huma Weiner is to Hillary) described his work as running "Bill Clinton Inc." Essentially, the memo describes Teneo as the revenue-generating arm of Clinton, Inc. - for Clinton speeches, foundation money, etc. It also details quite a bit of offshore money that came in. The second attachment is more discussion on the infamous Doug Band memo about Teneo, which revealed corruption and inurement by the Clintons. They were using "charity" to personally enrich themselves to the tune of tens of millions of dollars. Doug is worried that if the "story gets out" Teneo, the company involved in the scheme will have to be shut down completely and that they "would be screwed." China Rewards the P. I. The Chinese Foreign Ministry confirmed on 31 October that China was allowing Philippine fishing boats access to Scarborough Shoal. The press has provided contradictory coverage of the short statement by the Foreign Ministry spokesman. One set of reports said the Chinese Foreign Ministry confirmed Philippine access to the Shoal. Another set of reports stressed that nothing has changed. Both sets are correct in some senses. There is no contradiction. The Chinese assertion of sovereignty over the Shoal remains unchanged, as the spokesman said. China has no room for compromise on issues of sovereignty. Considering Chinese President Xi Jinping’s stress on orthodoxy and discipline, he would not and could not agree to compromise Chinese sovereignty in any respect. However, the second paragraph of the Foreign Ministry spokesman’s statement confirms that China is allowing Philippine fishing boats to have access to the Shoal. One Philippine fisherman told the press he hauled in tons of fish over the weekend for the first time in four years. China took possession of the Shoal four years ago. China is treating the friendly “proper arrangement” as a privilege of the sovereign granted to a subject petitioner, in this case, the Philippines, for accepting Chinese sovereignty. That is not how Philippine President Duterte is spinning the story, but Chinese Coast Guard ships continue to patrol and control the Shoal. Rebels in Aleppo (which essentially means US paid mercenaries and US equipped Kurdish militias - CIA Secret War) have staged an offensive aimed at breaking the government siege. They have made some gains and announced the establishment of military administration zones in several neighborhoods of Aleppo. I heard from friends in USGOV that the US made some major inroads. I urge caution. News service coverage of the situation of Aleppo is misleading because the Russians and Syrians have continued the suspension of air attacks. The rebels have taken advantage of the lack of air attacks and an apparent reduction in vigilance by government and allied forces. No news service has examined how the rebels managed to assemble the forces, ammunition and other supplies for an offensive that involves some 20 different rebel groups. An offensive surge always means that the surging forces have been resupplied or that it is using up its last reserves. It looks as if the first scenario (reinforced and resupplied) is the more likely given the US sources crowing their success. The Syrian siege of Aleppo is porous. “Siege”, in this context, means the main roads are controlled by pro-government forces, not that the city is completely cut off. The Russians are confident that this offensive can be rolled back, especially after the fleet assembles all of its cruise missile shooters. The rebels might have surged into a trap by presenting multiple centers of mass, which make good targets. The Soviets were fond of trapping the mujahedin in similar fashion in Afghanistan. News services reported that North Korea is preparing to launch an intermediate range ballistic missile within the next three days. The news reports contained no additional details about the launch, such as the site. If the North Koreans launch a Musudan missile, it would be the ninth such launch. Last month, the North launched Musudan missiles on 15 October and on 20 October. Both tests failed as the missiles exploded shortly after launch. North Korea is continuing to check the operational status of its fielded Musudan missiles, which are not reliable.